So you can understand our cynicism I hope. If there ever IS something that works, it won't be "you and a few friends" using it. It will be about 90% of the world's drivers using it. In today's instant communication world, something that works will be on a million Twitter accounts within hours of being proven true. Well it's not all over it, but I just looked at my twitter account & it's on there. Well then while you are waiting for it to become wide spread I will be saving on gas. I totally understand being a skeptic as I was too, but now I believe it & use it. When you see it popping up on there remember you heard it here first!! Directing people to another site to learn about your miracle pill looks like soliciting and that's not permitted on our site. 1. you are the one that wanted to see it on twitter, 2. It's not a pill. I have heard about that pill. Don't know much about it, but that it didn't work. Something about moth balls. Well let's just explain this product. Yes it will make someone money if you buy it. But since I can't even send you to the site to buy it well then I guess this will end our talk. I was just letting people know about something that I KNOW works! If you want to buy it, buy it, if not don't! Makes no difference to me!! Didn't come here to argue with anyone. Just was trying to help others. So I know not to come back here anymore. Have a great day & God Bless! It is naive to use the word "never" with respect to technological innovation. It is also foolish and unrealistic to claim that a gas saving product has never been proven to work. In order to believe that; you would have to bury your head in the sand and deny the validity and worth of the hundreds of gas saving improvements which have been adopted and made standard over the years by major automobile manufacturers. Some of these improvements (which you apparently haven't noticed) are high energy electronic ignition systems; electronic spark advance circuits, detonation sensors with automatic capability of varying the ignition timing adjustment to get the most fuel economy and greatest performance from widely varying fuel octane qualities; copper core spark plugs, iridium electrode spark plugs, multiple electrode spark plugs, extra projected tip spark plugs, wide gap spark plugs, closed loop feedback air/fuel ratio monitoring by oxygen sensors in the exhaust system, lock up torque converters, equal length tuned intake and exhaust systems, anti-reversion mufflers, multi-point fuel injection, fuel pressure regulators which vary the fuel pressure according to engine load, electronically or mechanically variable valve timing, multi-valve cylinder heads, variable length intake manifolds which use multiple throttles that are activated under different speed and load conditions, water heated intake manifolds, exhaust heated intake manifolds, reverse flow cooling systems, overhead camshafts; etc, etc, etc, etc, ad infinitum. Many, many, many of those proven, accepted improvements began as some backyard inventor's brainchild; were initially sold as a gas saving product, and were eventually bought by the auto manufacturers when they couldn't deny their value. Others were developed in auto manufacturer's research labs. But every single one of them increased gas mileage. Have you been sleeping for all these years??? During the 1950s, in the good old days when cars were simple and anybody could fix them with a screwdriver and a crescent wrench; the average fuel economy of a 6 cylinder motor was about 20 miles per gallon on the freeway. Today, most 6s get 25 to 32 miles per gallon on the freeway. It is a new day today: Please wake up!!! "Many, many, many of those proven, accepted improvements began as some backyard inventor's brainchild; were initially sold as a gas saving product, and were eventually bought by the auto manufacturers when they couldn't deny their value. " Please name some. I can't think of any. The major contributors to fuel economy, compared to, say, 1930, are: Overhead valves; high compression engines; high octane gas; fuel injection; computer engine controls (injection and ignition); exhaust gas sensors hooked into the computer controls. None of these sound like 'backyard inventors' products. Larsb is right that none of the 'gizmos and gadgets' that we read about here and elsewhere have been proven to improve mpgs. And the starting point of this recent discussion is starting to sound just like one of those. So dumb this down for me. I am just a mom of 5 that wanted to spread the word of something I have found. I did not know I couldn't send people to another website ( I am new to the site) This is a new product to the market, but it has been being used by big companies for 20yrs. PAMA is one of the companies. They are the largest mining company out there! Anyways they just releases this product to the public & it's not widespread known. I was lucky enough to hear about it early on. Give it about another year to 6 months & I am sure you will hear about it too. Although you have already heard it here. Would tell you more about it, but the website would explain it more & well I can't tell you that. Maybe you can find me on another board or site! Perhaps you misunderstood me. Your claims and product sound just like dozens of scams that have made their way across this and other discussion boards. I doubt you are who you say you are, that's the result of all the prior scams being pushed by folks who try to make money by misleading others. Even if you are who you say you are and not a scammer trying to rip people off, and even if you believe you've found something that improves fuel economy as much as you claim, I can tell you with absolute certainty that what you believe and what you claim is complete fantasy. The truth of the matter is, if this little pet product of yours is so great then it would have been proven out in lab after lab after lab worldwide and be in common use today (said another way, it would have near universal application). The fact that it isn't is quite simply such a preponderance of evidence that says you're wrong that nothing you say will even remotely pique the interest of anybody schooled in the arts of combustion science. Do I care that you have your fantasy? No. Do I care if you are trying to mislead folks into buying a product that provides no more efficacy than a bottle of snake oil? You bet'cha. Well I am who I say I am. I guess I will live with my family in my fantasy world then. I am on Facebook & I have a few friends now using this product. They have only used it in the big industries until recently. Man I don't really care if you believe me or not. I don't know you & you don't know me. I am done with this. I am not a scammer & well there really isn't no way to prove it to you. Let me ask you this. Have you heard of Lucas Oil? Have you used it? What do you think about it? Man I wish my fantasies were better than just saving on gas!! I would love to have like those awesome dreams that well nevermind. I will keep that one to myself. Thing is you don't have an interest but yet you keep replying, so stop replying & I'll leave it alone to. You believe or don't I have many more people that do!! I have told people where to get it from & let others use mine, so unless they are all lying to me & are in my fantasy too well I believe it works! So again Have a great night & I think I will just leave this forum, or maybe just see where it will take me one da. I would like to see your face when you do hear about the product & know that I was not a spammer/scammer. Tell me what is a scammer? What do they do? The scam that I have heard about is the old envelope scam. Send me 50 dollars & I will send you what you need to make tons of money & when you get it, it has directions to do the same as what he just did to you. So if you say bought the product, tested it & seen if it worked or not then what are you out maybe 20 bucks Man I am an awesome scammer!! I mean the money goes to the company & not me so what did I get???? Wow I really do need to look into another way of scaming people don't I? I would be broke! Have a great night!! Lucas Oil? They make additives and when you add their "oil stabilizer" additive to your engine, you'll foam the oil. Not recommended. See The Story With Additives (Bob is the Oil Guy). I dunno, is Lucas yet another one of those MLM companies where all that's really being sold is the right to sell other shares to others? Do they also sell "male enhancement" pills like the Amsoil folks do? If someone invented something that works in their basement workshop, they'll patent it and license it to the majors, they won't try selling it on the Home Shopping Network. Not if they want to be taken seriously. I submit that "being taken seriously" has nothing to do with it. They don't sell through the majors because they don't want to get found out that their idea is a sham founded upon junk science. skywatcher1973, you can post all of the anecdotal evidence you want, only those that know no better (i.e. those with non-scientifically trained minds that want to believe) will pay attention. For the rest of us, we'll wait for the real scientific break throughs to be presented to the market at large before we spend our hard earned money. 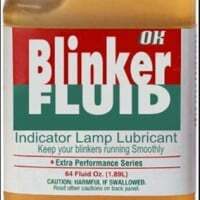 What's funny is that buying some of this junk can help your mpg. You really have never heard of Lucas Oil? I see that I can put a link on here so he is the link for the Lucas Oil. As you will see it is from a well known auto parts store! So no Lucas is not a MLM company!! So for someone that "knows" so much you really don't have a clue as to what's on the market today!! I think my point has been proven, so thank you very much!! Wow I was the one having trouble reading what was typed earlier, asked to have it dumbed down & then this happens. Man I feel GREAT NOW!! Perhaps you are just trying to sidetrack the issue, but yeah, I know what Lucas is. I also know that the only additive I'll put into my car is Techron, and that's only when I happen to buy Chevron gas. The rest of it gets categorized under snake oil until proven. I don't even believe that synthetic oil is worth it and it's "proven" to help fuel economy. Just not enough to justify the extra expense in my book. I'm sorry none of us regulars are excited to read about your experiences but we've been kicking this stuff around for just about a decade now and have yet to see anything worthwhile come down the pike. We have a saying in my house when we disagree. It's "do you want to be right or do you want to be happy?" So my reply to you is I want to be Happy!!! Have a good time bye! The next question is, "Do you want to look like a fool when you advocate products that are nothing better than snake oil (your miracle fuel economy additive and Lucas products among them), or do you want to advocate products that actually work?" I am advocating a product that really works. Those #'s are real #'s! You believe what you want. My question is: How can you tell me that this product doesn't even work? You don't know what it is! You haven't used it before! So why run your mouth on something that you haven't ever heard of?? You may know alot, but you don't know anything about this product or anything about me!! I will stand strong in what I believe in! Oh & I haven't replied back because I stopped receiving updates on this, just thought I would check in to see what you were downing me on this time! I am advocating a product that really works. Those #'s are real #'s! No, sorry, by definition your numbers are anecdotal and as such are anything but real. My question is: How can you tell me that this product doesn't even work? You don't know what it is! You haven't used it before! So why run your mouth on something that you haven't ever heard of?? Ummm, I don't have to eat a dog poo-pie to know very well that, A) it won't taste as good as my pumpkin pie, and it won't be healthy for me. So why do I run my mouth, errr, fingers? Because after the billions of dollars (yes, billions with a big honking "B" in front of it) the world's automakers have spent on improving fuel economy, there is an absolute zero percent chance the product you're advocating is what you say it is. Why? Because if it was, said automakers would have long since lined up and paid big money to test it and to build engines that could take the greatest possible advantage of it. Said another way, it would be in near universal use world wide right this very minute. The above said, I do know what the product is, I've looked it up and Bobbie Smith should be thanking you for getting me to go even that far. The thing is, the internet hype around this product is straight out of the MLM/Snake-Oil marketing handbook, so much so that any studying of this product will generate more questions than answers and further convince anyone of any intelligence that this is just the latest in a long-long line of fuel economy scams to be visited on the motoring public. You may know alot, but you don't know anything about this product or anything about me!! I will stand strong in what I believe in! In many ways this world we live in is divided into two; a part that has religion and will believe blindly, and those that are atheistic and can only be convinced when incontrovertible evidence is presented to them, evidence that is verified by multiple non-aligned third parties. Long story short, if you want to believe this product works, you can easily make yourself believe. For my part I call &#147;shenanigans&#148; on your claims. So my post is not here anymore the one where I asked what the name of the product was & who is Bobbie Smith? So why not answer those questions? And I also want to know how can you tell me my product doesn't work when you have no clue what the name of it is & you have no clue "cause you haven't used it" if it works? You may know alot, but you don't know crap about me or my product that I am talking about. Unless you can post a link to tests by an objective laboratory proving mpg gains, you will have no credibility here. You may have seen what you think are benefits, but they are either caused by you driving more carefully or doing maintenance at the same time you started using this. Not one of these products has ever been found to work. "The EPA concludes the following from the testing conducted on these two vehicles: the Super FUELMAX device has no effect on fuel economy or exhaust emissions." You can find the laundry list here. This is not called Super Fuelmax. I can't send the info out to anyone in here as it is in a format that only goes through e-mails. I can say if anyone is up to trying the product to put all thoughts aside I would be willing to send it to you, not sure how to do it at all, but it's a thought. I am tired of going back & forth on this & knowing that it works. What other way can I tell you that it works? I mean really! To add to what I had happen to my car, I let my daughter in law use it too in her Jeep & do you know what? It is running better & no repairs, no upgrades, nothing!! She had the same thing going on with her car as I did with mine & now it isn't doing it. My son don't know how to fix cars & they don't have the extra money to go to get it repaired. If this is turned down I will just delete my account & go on about my business. No matter who sells the product, no matter who makes it, no matter what you say, if it works it works & I will continue to use it. I did read in my searches that this company is partnered with EPA Smartway Transportation Partnership not sure what this part of the EPA does, but this company is partnered with them. It's just a regulation for fuel additives. Registration of an additive doesn't constitute endorsement by any agency of the United States. Consumer Reports just tested a gizmo that looks identical to the 'current regulating' HS one. Guess what? They found it was WORTHLESS! Big surprise! Texases; Thank you for the breath of fresh air. I've been hoping that someone would be able to cut through all the hype about that issue. And yet, according to the 'fact' that this scam device is being regularly sold by such established institutions as Hammacher Schlemmer and Heartland America; we also have a classic example of why sales figures have ZERO correlation to objective reality. The troll called skywatcher1973 is back. Avoid using the products of this scammer at all cost; it's only purpose in life is to separate you from your hard earned cash. we also have a classic example of why sales figures have ZERO correlation to objective reality. Late to the show... just saw this and all I can say is "AMEN." I've got someone trying to sell me on their program, citing the number of members, stating that "X number of people CAN'T be wrong." Well, in any scenario, this is statistically an impossibility, and the reverse is true - X number of people must be wrong. Let's say, for example (purely fictional numbers), that 20 million people look at the Toyota Camry. Of those, 5 million buy the Camry. Can Toyota say that because they have high sales numbers that "5 million people can't be wrong?" If volume is the major indicator of product quality, then surely the 5 million people ARE wrong, because 15 million people chose something else.